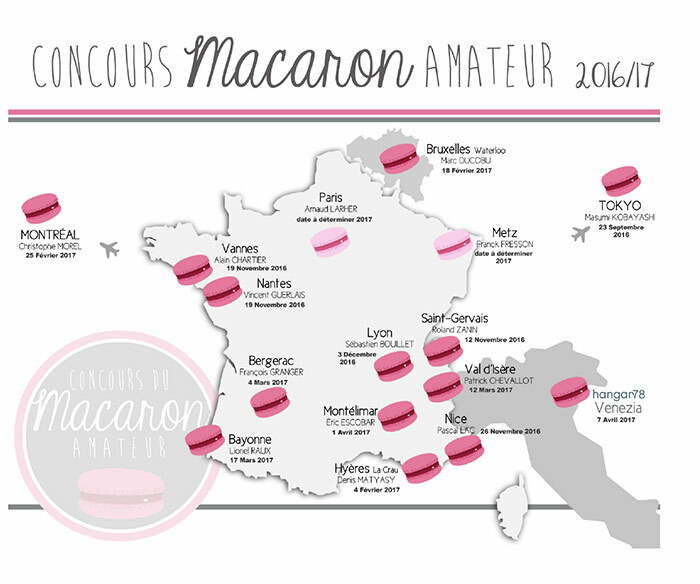 The regional selections of the seventh edition of the Amateur Macaron Competition have begun. An edition that is more international than ever since the semi-finals will be held in Belgium and Japan, and if we add the ones in Italy and Canada, the number raises to four semi-finals held outside France. In total there will be 16 rounds, twelve in France and four overseas. 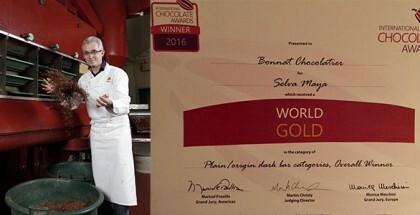 The grand final will take place on May 13, 2017 in François Granger’s patisserie in Bergerac. 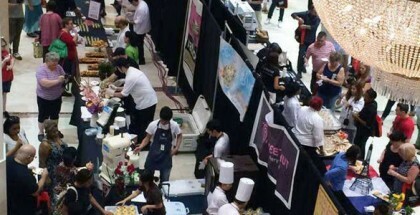 The candidates must submit ten homemade macarons, different than those presented at the semi-final and made in three hours before the watchful eye of a jury made up of Mercotte, sponsor of the event since 2012, and other professionals. There are no definite dates for Paris (chez Arnaud Lahrer) and Metz (chez Franck Fresson).